What does it mean to major in chemistry? Chemistry investigates the composition, properties and reactions of all substances. It is the science of the composition, properties and reactions of all substances. Called “the central science” because it is at the heart of many other scientific endeavors, many advances in the production of medicine, food, technology, and energy have been made possible through chemistry research. Because chemistry is a physical science, chemistry students are expected to have the math background needed to develop strong problem-solving skills. You can choose between the Bachelor of Arts in chemistry and the Bachelor of Science in chemistry with an optional biochemistry emphasis. The B.A. degree allows greater compatibility with other areas of study while the more specialized BS degree requires more mathematics and science. The B.S. degree is accredited by the American Chemical Society (ACS). To enroll in this degree, students must be eligible to register for Chem 105 or have successfully completed Chem 105, which requires a minimum ACT mathematics score of 25 (SAT 580 or SATR 600). 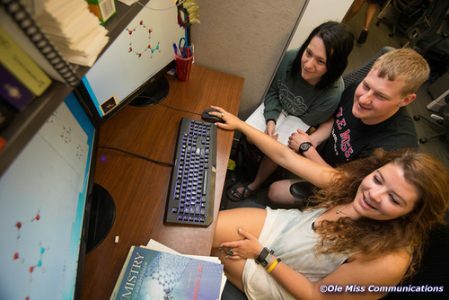 Chemistry majors are introduced to the electronic theory of matter, organic and inorganic chemical reactions, quantum and statistical mechanics, thermodynamics, chemical kinetics, the kinetic theory of gases, and the properties of solutions. They receive training in the theory and use of state-of-the-art chemical instrumentation, the principles of data collection and analyses, and the techniques used for the professional presentation of scientific results. 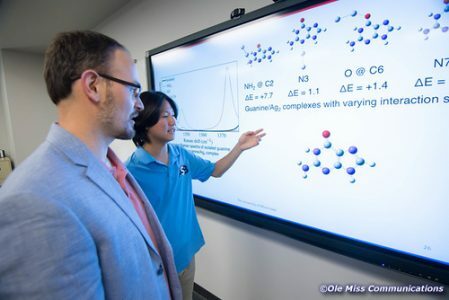 Why is the University of Mississippi a good place to study chemistry? The department is ranked in the top 50 (out of 555) chemistry departments in the U.S. for its production of undergraduate degrees in part because faculty members take a keen interest in the success of their students. They provide expert career advising and plenty of individual attention. 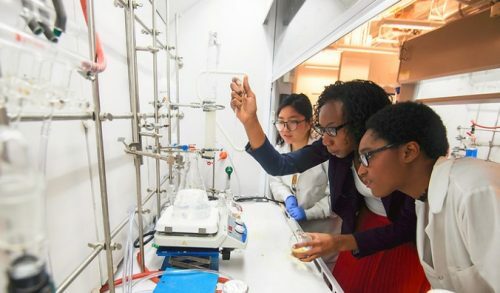 Students may become involved in research with faculty members as early as the end of their freshman year, and many opportunities exist for students to become involved in funded summer research projects. It is not unusual for a chemistry major to co-author a scientific article with a professor before graduating from UM. The Student Affiliates of the American Chemical Society provides a social setting for the exchange of ideas among students in the chemical sciences. Chemistry students at all levels are invited to join. The Student Affiliates arrange field trips to industry and organize transportation to regional meetings of the American Chemical Society. Dr. Davita L. Watkins, Assistant Professor of Chemistry and Biochemistry, received her Ph.D. from the University of Memphis and completed her postdoctoral studies at the University of Florida. Her area of expertise is organic chemistry, with a specific focus on the molecular design for materials applications. 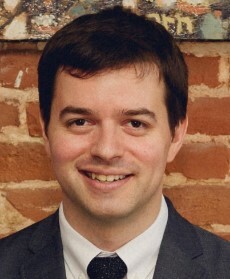 Dr. Watkins received a prestigious National Science Foundation CAREER award for five years of grant support and was recently awarded the 2018 Young Investigator by the Polymeric Materials: Science and Engineering Division branch of the American Chemical Society, and Oak Ridge Associated Universities Ralph Powe Award, and a Mike L. Edmonds New Scholar Award from the UM College of Liberal Arts. Ranging from solar-harvesting polymers to nanosized therapeutic drug delivery systems, Dr. Watkins’ research explores the operational efficiency of functional materials by examining two factors: the nature of the constituting components (i.e., molecules) and the arrangement of those molecules to yield a useful overall composition. The new knowledge gained from her research will lead to the development of more efficient organic-based materials and devices, thereby advancing the pursuit of technological applications (e.g., electronic devices and biomedical implants). Additionally, her lab trains the next generation of scientists and engineers, particularly women and minorities. Why study chemistry at UM? What can UM chemistry majors do after graduation? A liberal arts education empowers and prepares students to deal with complexity and change through a broad knowledge of the world. They gain key skills in communication, problem-solving, and working with a diverse group of people. Related careers in chemistry include chemical and materials research, medical research, pharmacology, toxicology, health care, pharmacy, law, policy, and environmental areas. The American Chemical Society website has a page to explore chemistry careers. After graduation, Jacob earned his Ph.D. in chemistry at Johns Hopkins University. As a postdoc at the University of Chicago, Jacob is expanding his expertise to include interfacial physics by studying molecular beam-surface interactions. His goal is to remain in academia and build a productive research group. Whom should I contact to learn more about majoring in chemistry?